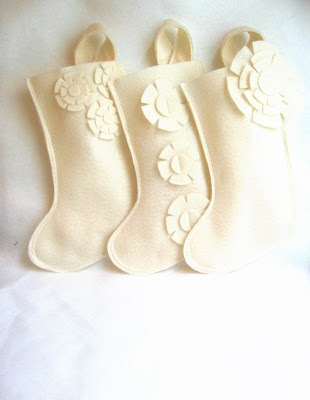 I recenlty found some amazing felt stockings in rikrak's Etsy shop. 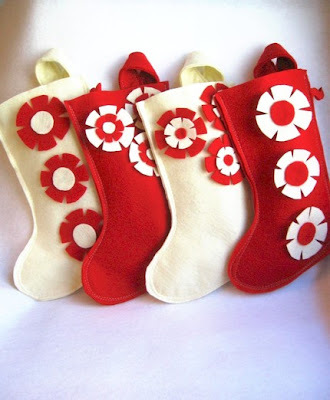 Unfortunately, they all got sold out (well, that's good news for Kristal Davis, a.k.a. 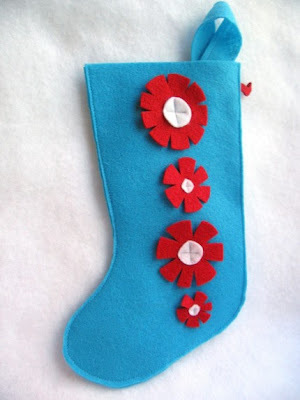 rikrak), but you can still see how wonderful they are, and maybe get an idea of how to make your own holiday stockings.